In the May 2012 issue of Powerline Magazine, we discussed the difference between Facebook Pages and Profiles, and we advised you to keep your business image and personal image separate by operating a Facebook page for your UnFranchise®. 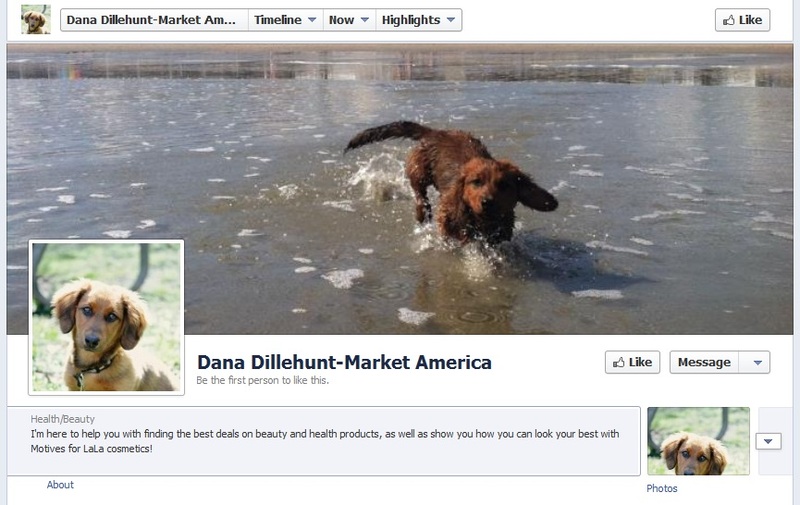 Here are some step-by-step instructions to get your business page up and running! Log in to Facebook to view your profile. Scroll all the way to the bottom of the page (this may take a while if your feed keeps refreshing, but keep scrolling). In the bottom right, you should see a few options (About, Advertising, Create a Page, etc). 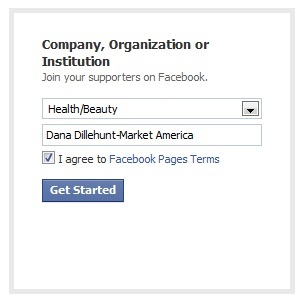 Click on “Create a Page.” You’ll be taken to a page with several options, and my recommendation is for you to choose the “Company or Organization” option, as this is best suited to your needs. In this next step you’ll want to add a profile picture; the best would be your headshot or another professional looking image of you. If you don’t have one right now, you can click “skip” and come back to add a photo later. Since I’m not a professional (and I don’t have a headshot!) 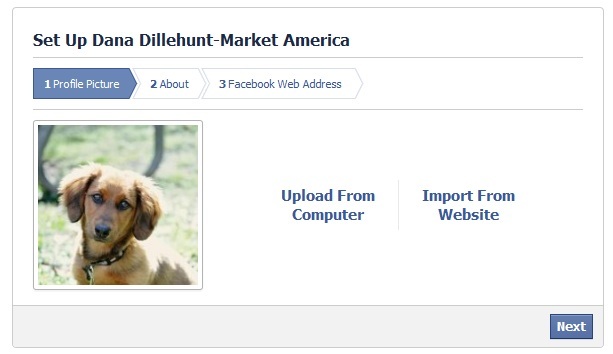 I’m using a picture of my dog as an example, but I would strongly discourage you from using a photo that isn’t you. Next, Facebook wants you to include some information about what you do. Remember that many people might not know what you do, or how you do it, so this is a great place to tell them. You can also include the link to your portal in the “website” section. Click “Save Info” when you’re done, and you should arrive at your newly-created page! The next step is to customize your FB link, which I recommend leaving as facebook.com/_______ (the name you have chosen for your page). Now before you jump in and start inviting people to like your page, make sure you give them something to like! 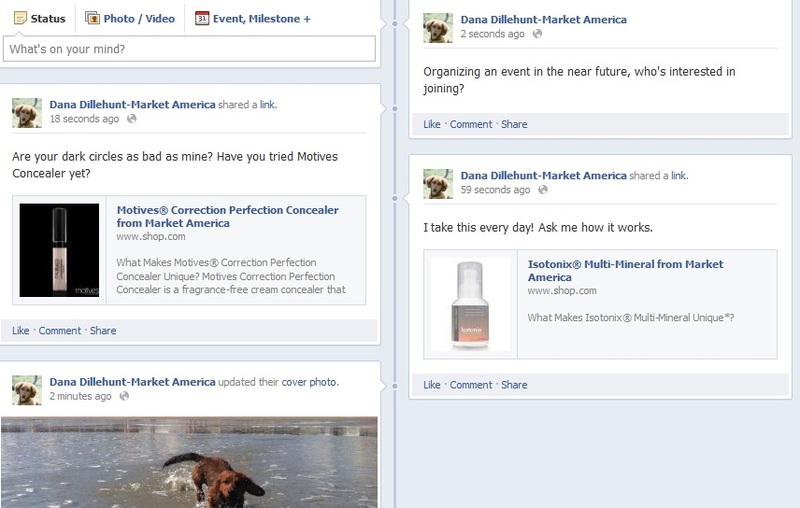 Just like your normal Facebook profile, you can make status updates and post information to your timeline. Give them a few updates, maybe add some product photos or links, and just build up the profile so when people visit it they see you’ve put work into it, and provided them with useful information. Just like your profile timeline, this profile also needs a cover image. The more interesting your page looks, the longer someone will spend looking at it! How long would you spend on an empty profile? Once you have your page looking good, and you’ve provided tons of helpful information, it’s time to start inviting people you know! A list of your friends appears in the top right, while in the “New Likes” section on the left you’ll be able to invite people you know via email. This part of the profile also becomes extremely helpful once you have several “Likes,” since you’ll be able to track how many people have visited your page, and view all of your notifications and messages. We want to know, have you made a Facebook page for your business? If so, how’s it going?